You take a sip of your latte, only to be reminded of the sharp pain youâ€™ve been experiencing in your teeth. Hot drinks, cold drinks, even the chilly winter air seems to set it off. Whatâ€™s causing this pain and what can you do to prevent it? Although you should brush thoroughly several times a day, go easy â€“ brushing too hard can contribute to enamel erosion. Using a new, soft-bristled toothbrush along with proper brushing techniques can make a huge difference in maintaining your oral hygiene without potentially harming the enamel or exposing the dentin around the gum line. Tooth grinding, either when awake or asleep, can damage enamel. Itâ€™s sometimes hard to know if you are grinding your teeth at night, however, a dull headache or sore jaw upon waking are tell-tale signs. In addition to causing sensitivity, bruxism can cause severe tooth damage, tooth loss, and other serious medical issues. If you think you might be grinding your teeth, speak to Dr. SarantÂ about using a dental mouth guard. It might be hard to believe, but certain over-the-counter mouthwashes actually contain acids and chemicals that can increase your sensitivity, especially when your gums have begun to recede. Donâ€™t risk making your tooth pain worse! Use neutral fluoride solution instead. 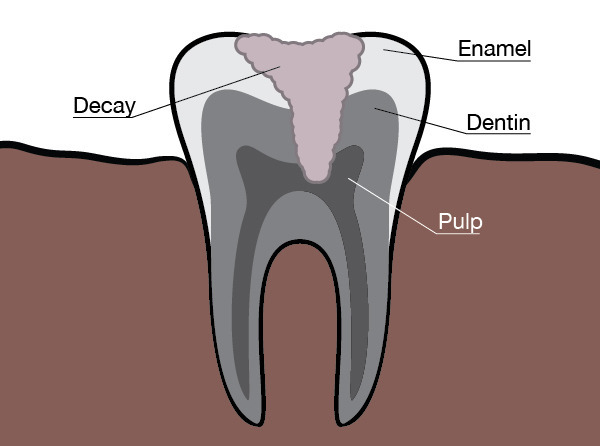 Itâ€™s possible a decaying or damaged tooth is to blame for your sensitivity. A sudden onset of pain may be a sign that one or two teeth in particular are in severe need of attention and repair. Regular visits to Dr. SarantÂ are vital to keep up with proper oral health. 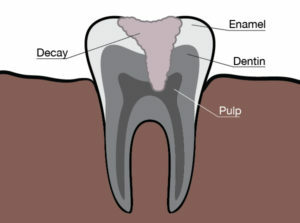 Plaque is a colorless film of bacteria that forms on teeth. It can build up when proper flossing and brushing are neglected. A little plaque on the teeth is normal, but when it starts to build up, it could result in tooth sensitivity. Removing plaque thatâ€™s built up over time can be very difficult, so preventative measures should be a priority. Schedule a dental cleaning to remove plaque and avoid causing more damage to your teeth. You may notice certain foods or drinks may trigger your tooth pain. If you are experiencing tooth sensitivity, avoid drinking too much coffee, tea, wine, soda, juice, or other acidic beverages. Even certain foods with high acid content can contribute to discomfort. Sometimes changing what you eat and drink is enough to reduce your sensitivity, but itâ€™s important to see Dr. SarantÂ to evaluate the underlying cause. It is entirely normal to feel some tooth sensitivity when leaving the dentist after a check-up or procedure. Teeth cleaning, crown placement, or tooth restoration can all cause discomfort, but this tends to disappear within a matter of days or weeks. If youâ€™ve recently had a root canal or a tooth removed, this too will likely cause considerable sensitivity for several weeks. and control your symptoms. With the help and guidance of your Raleigh Dentist , your teeth and gums can remain healthy and pain free. Call us for an appointment atÂ 919-855-8600 and find relief for your tooth sensitivity today!